Father's Day is coming up! 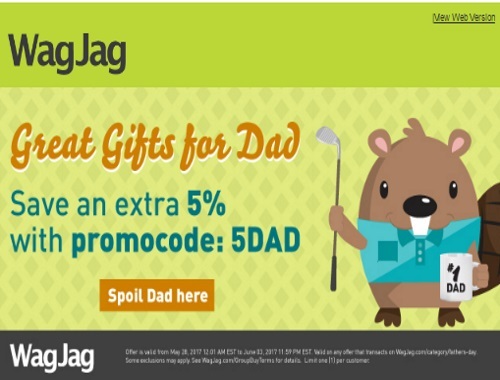 Wagjag is offering an extra 5% off any deal with the promo code below! Enter the promo code 5DAD at checkout. Offer is valid May 28-June 3, 2017 on the Father's Day category.